Bruce played the song during private rehearsals with the E Street Band (and Horns of Love) for the upcoming Tunnel Of Love Express Tour. It was a one-off but incomplete rendition of The Four Tops’ "Something About You". 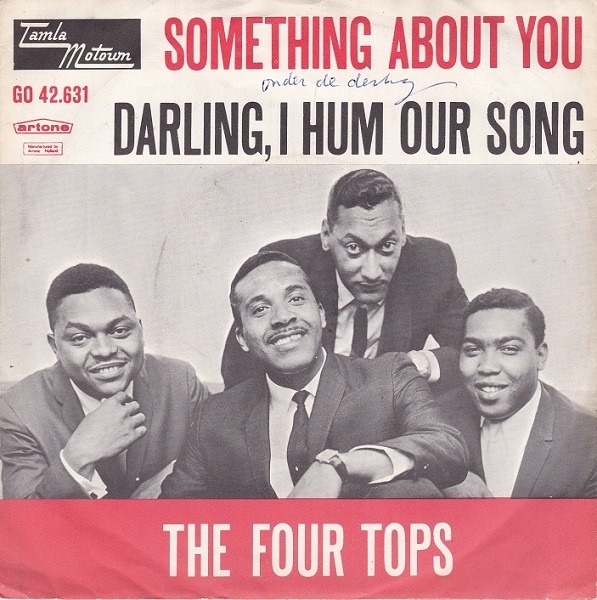 "Something About You" is a song written by Holland-Dozier-Holland and was first released by the Four Tops on their 1965 album Four Tops' Second Album, released as the third single from the album. The B-side of the single was "Darling I Hum Our Song." " Something About You" is unusual for a Motown song in that a guitar riff is prominent. The guitar riff in "Something About You" is similar to that in the Rolling Stones' "(I Can't Get No) Satisfaction" . Which eight songs would Bruce Springsteen take to a desert island ? "I had to have some Motown because Motown was an incredible part of my youth. Also, if you wanted to know how to write, how to structure successful pop records, you could learn it all from Motown. The sound of the band, the importance of a great singer. Motown was the school where you wanted to go to learn your craft."